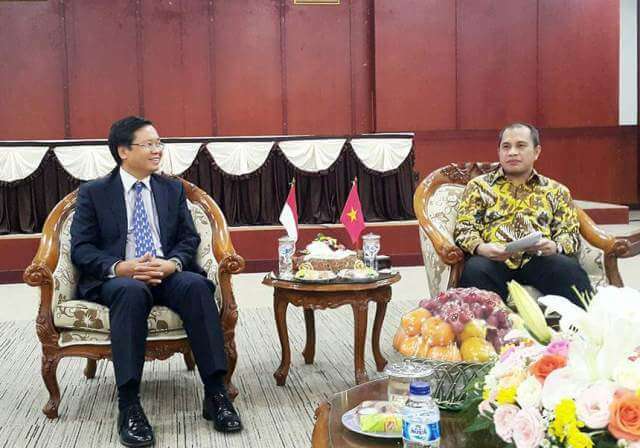 Rural Development Minister, difficult areas and Immigration Marwan Jafar congratulate Dr. Hoang Anh Tuan received new tasks in the position of Ambassador Extraordinary and Plenipotentiary of Vietnam in Indonesia. Marwan Jafar Minister expressed his pleasure at the fine development of bilateral relations, in particular, the two countries established a Strategic Partnership has helped to further promote bilateral cooperation in all fields of business economy, trade, investment, culture, education, agriculture …. Minister Marwan Jajar very impressed by the achievements made in economic development – economic development of Vietnam, in poverty, ensure the life of the people, especially those living in rural areas communication, remote areas. Marwan Jafar minister said Indonesia currently has about 25,000 villages, the life of the people in those places is very difficult, critical infrastructure and living conditions are not guaranteed. Marwan Jafar Minister stressed ensure people living in disadvantaged areas, construction and sustainable rural development as the primary task of the Ministry and one of the high priorities of the administration of President Jokowi. Marwan Jafar Minister said that cooperation in the field of rural development will be key and the breakthrough brought the bilateral relations grow increasingly more substantive, while making become ASEAN Community practical significance than when it meets the interests of the people. Ambassador Hoang Anh Tuan thank assessments and share cordial bilateral relations of the Rural Development Minister, difficult areas and Immigration Marwan Jafar. 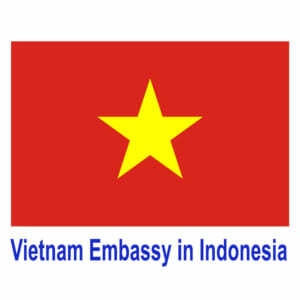 In the context of the ASEAN Community and formed soon on his position, Ambassador Hoang Anh Tuan said it would try its best to promote cooperation, sharing experiences in building and sustainable rural development between Vietnam and Indonesia for an ASEAN Community development and common prosperity. On this occasion, Ambassador Hoang Anh Tuan also expressed his desire to the Minister for Rural Development, difficult areas and Immigration may appoint working groups to visit and work in Vietnam for the two countries to exchange share and learn from each other’s experience in building and rural development. Marwan Jafar Ministers noted and said it would consider sending missions to Vietnam as soon as possible. Ministry of Rural Development, difficult areas and Immigration is the newly established Ministry under President jokowi with the aim of improving the lives of people in rural Indonesia and difficult areas. As soon as he established the Ministry has implemented a series of activities in domestic and international cooperation, rural development is considered a key national priority. Recently Japan and South Korea have expressed their desire to cooperate with the Ministry of Rural Development, the region’s difficulties and Immigration Indonesia in the implementation of sustainable development projects and improving social welfare people.